New Delhi: With an improvement in their Swachh Survekshan rank from 338 last year to 240 this year (2019), 17 areas under East Delhi Municipal Corporation (EDMC) have been declared Open Defecation Free via third-party verification. EDMC declared itself ODF back in October, 2017 but failed the third-party inspection by Quality Council of India (QCI) at least twice. To be declared ODF, an urban local body needs to comply with multiple Swachh Bharat Abhiyan protocols, primary being not a single person should defecate in the open, at any point of the day. A senior EDMC official from the sanitation department said that the third-party inspection took place on March 19 and 20, after EDMC sent its ODF application to the Ministry of Housing and Urban Affairs (MoHUA). During the inspection, the QCI surveyed the trans-Yamuna area of East Delhi that included residential, slums and government school areas in localities such as Dilshad Garden, Shahadara and Shastri Park among others. As per the reports, QCI found no cases of open defecation or any evidence of human excreta lying in the open. EDMC Commissioner Dilraj Kaur acknowledged the role played by Resident Welfare Associations (RWA), NGOs, religious groups and other organisations in conducting awareness drives in order to make the city ‘clean, green and free from open defecation’. The commissioner has appealed to the citizens to maintain cleanliness in the area and cooperate with EDMC in its cleanliness drive. Ms. Kaur also urged the residents to bring positive change in their behaviour by adopting cleanliness as a habit so that it can help the authorities in improving sanitation in EDMC. She further credited the corporation for making all the necessary efforts to improve cleanliness in its areas which have yielded positive results. Some of the efforts by EDMC in achieving the milestone included installation of mobile toilets in the problematic areas and keeping a thorough check on the maintenance of existing public and community toilets in the area. According to a senior official from EDMC Sanitation department, under the Swachh Bharat Abhiyan, about 135 public toilets with 643 seats have been constructed in the region in addition to the renovation of the existing 431 toilets with 1853 seats. 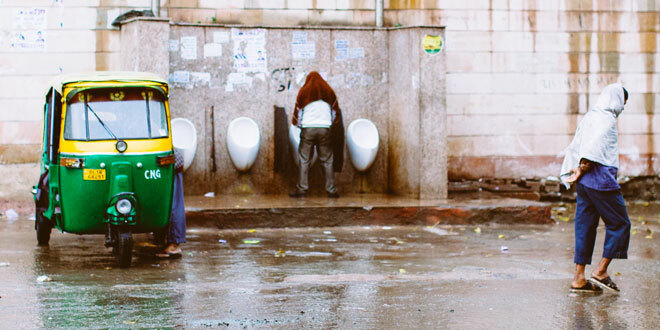 As the mission nears the deadline in October this year, EDMC is expecting to construct another 46 public toilets before then. Sanitation workers are directed to reach their assigned sweeping stops in early morning, to inform the people defecating in open about the nearby toilets. Additionally, the EDMC official believes that activities like interactive street plays in slum areas and sessions conducted in government schools played a key role in generating awareness about the hazards of open defecation among the residents. The ODF certificate is renewed in every six months based on the mandatory re-evaluation by QCI. Till date, a total of 3,246 urban local bodies in India have been declared ODF by the Ministry of Housing and Urban Affairs, as part of Swachh Bharat Abhiyan, which aims to make India 100 per cent ODF to mark 150th birth anniversary of Mahatma Gandhi.